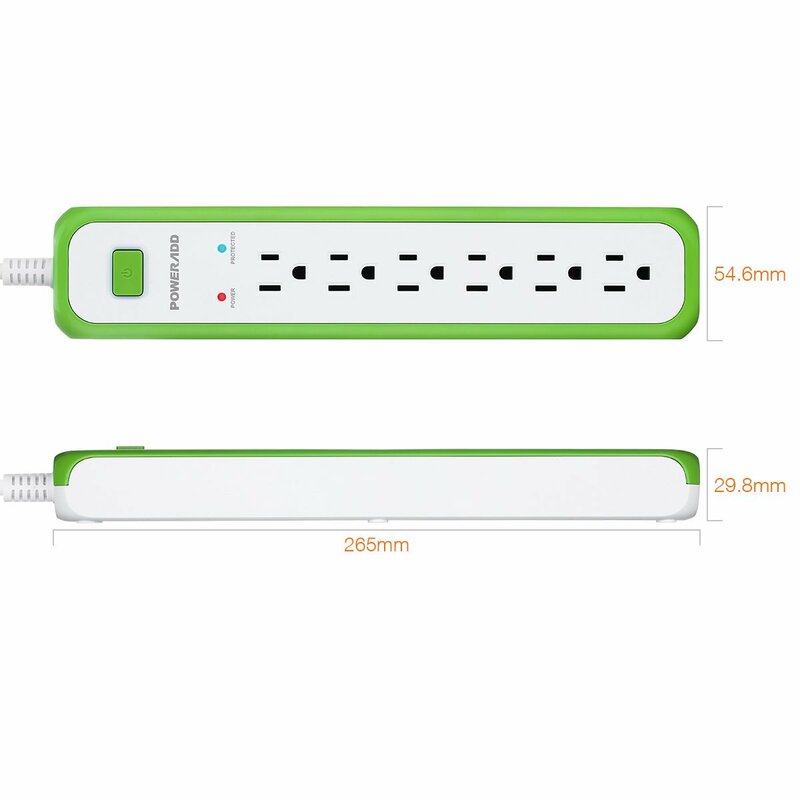 Poweradd 6-Outlet Commercial Surge Protector Power Strip is a professional multi-outlet power strip with a strong and power 5-foot-long power cord. 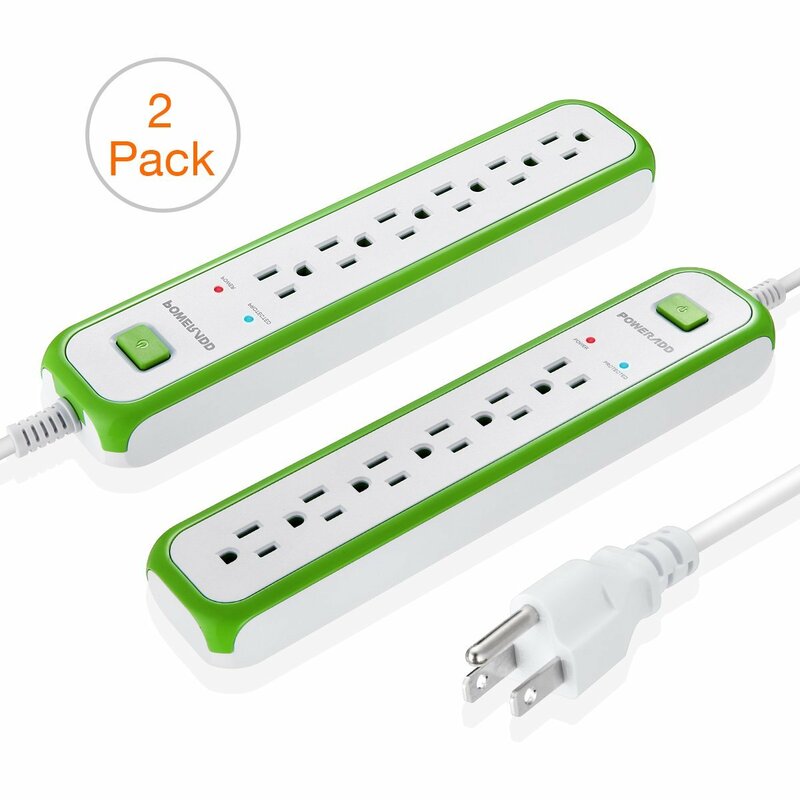 Poweradd Commercial Power Strip With Long Cord, 6 Outlet Surge Protector Power Strip 2 Pack. 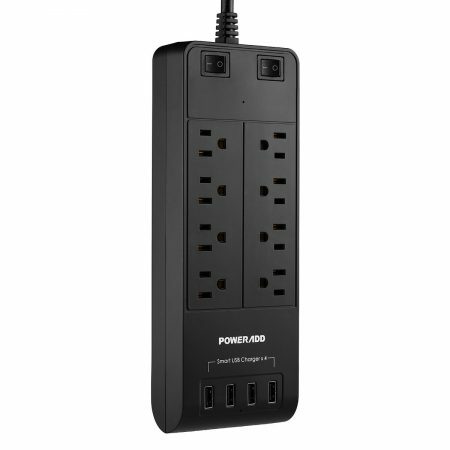 900 Joules, 5-foot 18 AWG power cord, 6 outlets, brand-new and upgraded power strip and surge protector. 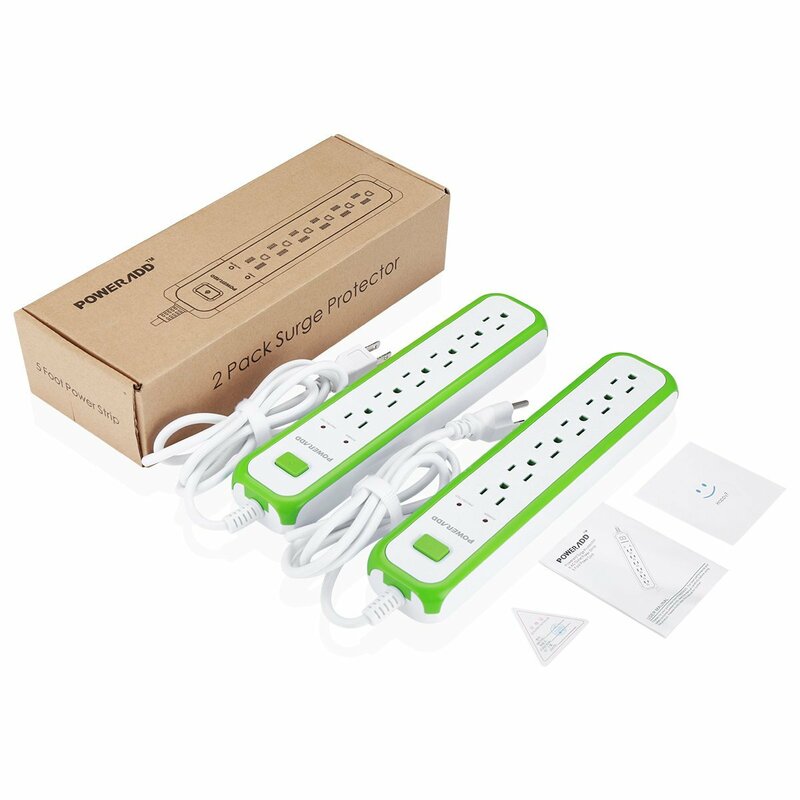 Highly durable multi outlet power strip for multiple electrical appliances and devices. 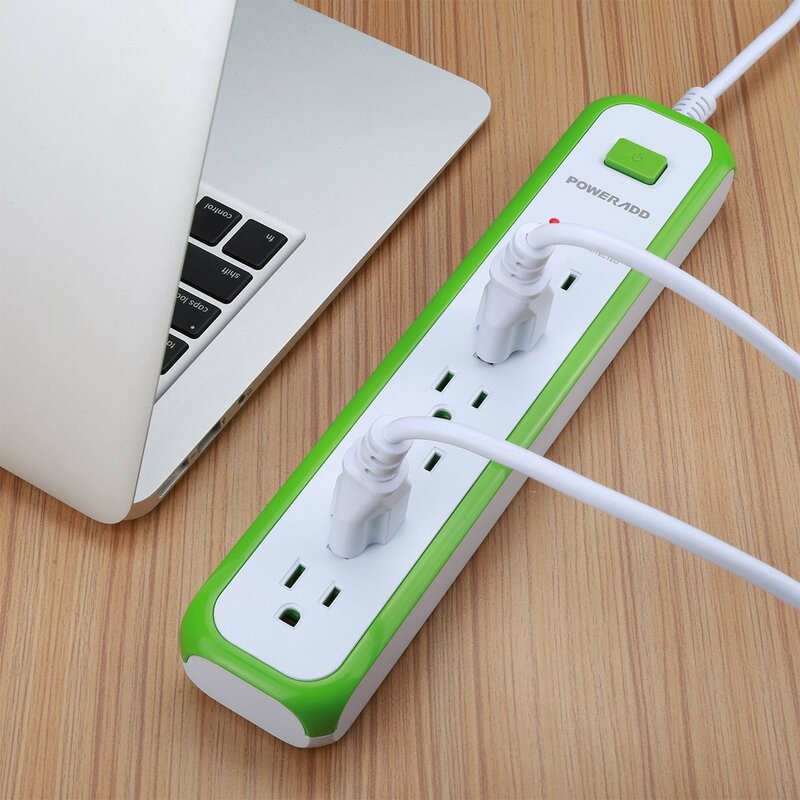 Perfect surge protector outlet against harmful voltage fluctuations, surges and energy spikes. 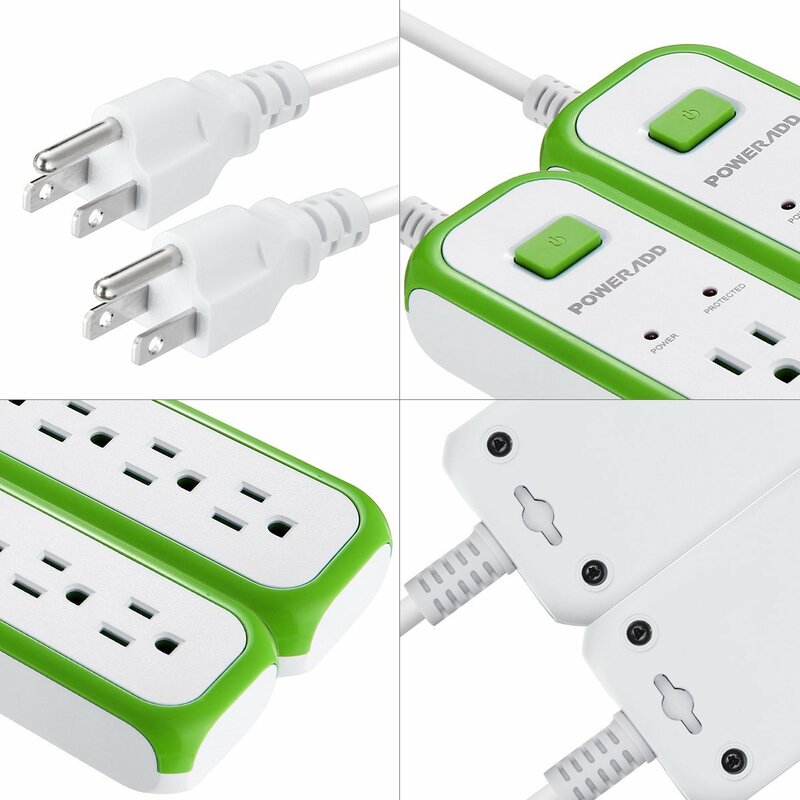 Keyhole mounting slot for convenient installation for wide application. 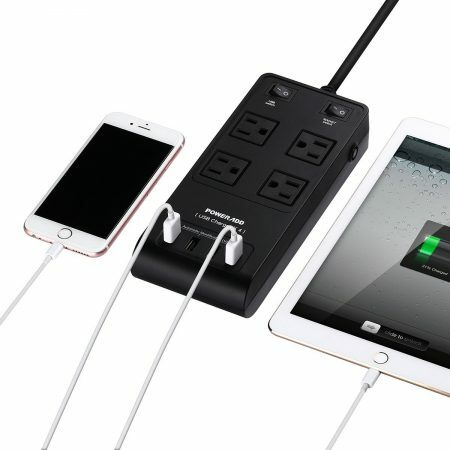 Poweradd 6-Outlet Commercial Power Strip Surge Protector is a professional multi plug electrical outlets with a strong and power 5-foot-long power cord. 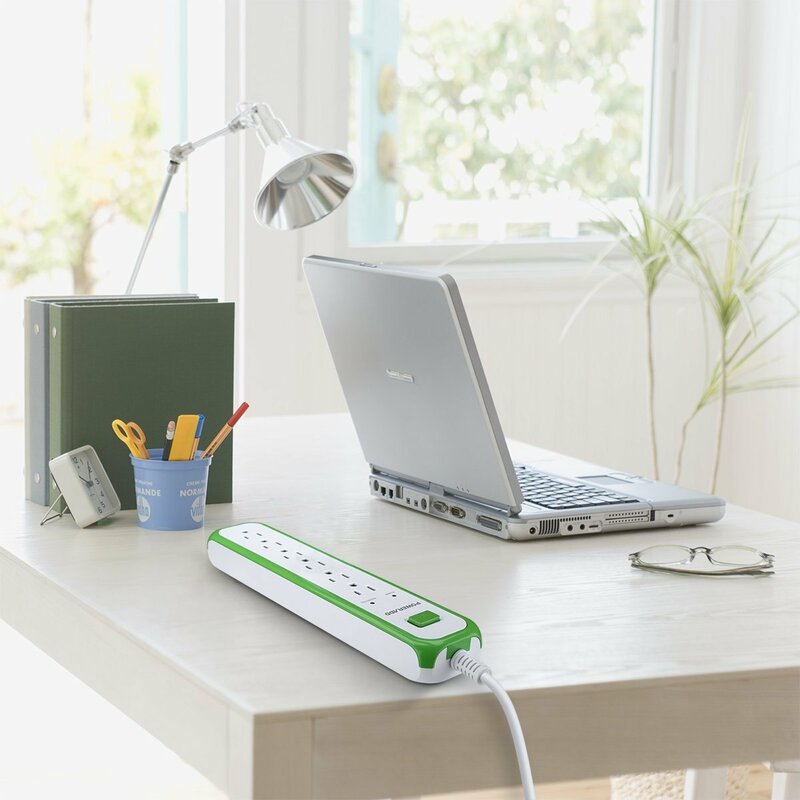 Made of first-rate fire-resistant PC and PVC copper wire, it’s durable and powerful enough to be widely used for home, office and commercial activities that demand multiple outlets for power. 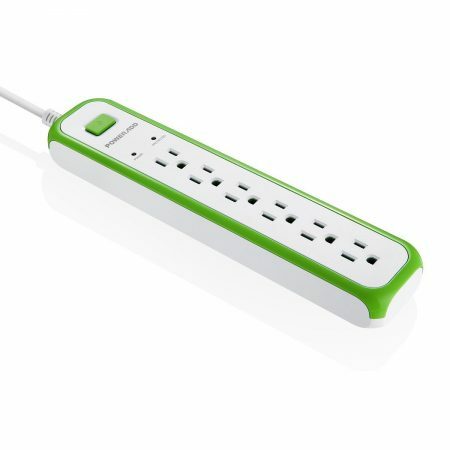 This 6 plug power strip has an ergonomic design for the layout of 6 outlets, making each of them accessible and user-friendly with enough space. 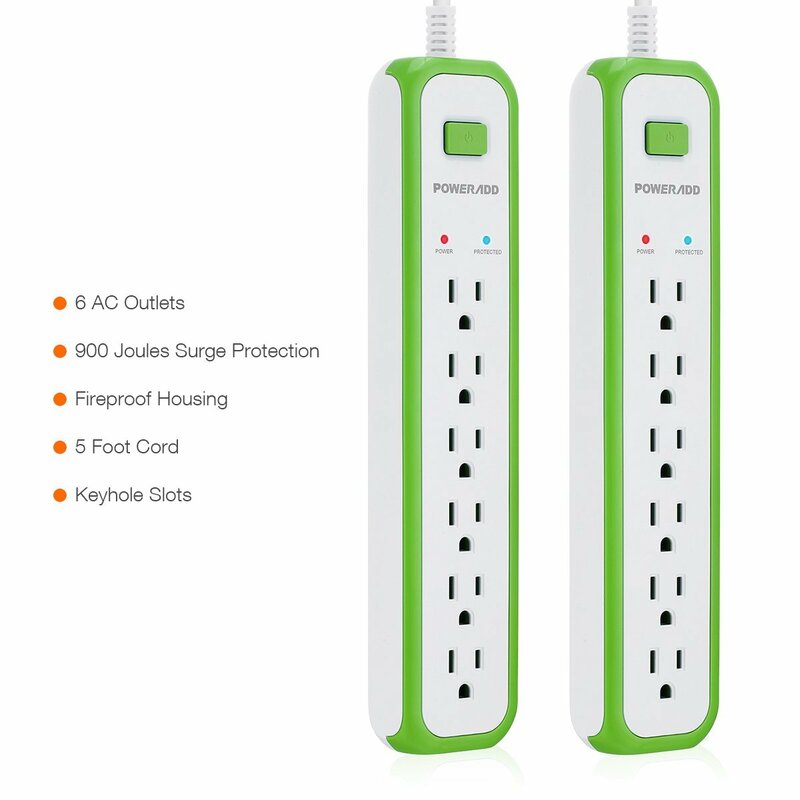 With 900 Joules energy rating, this Poweradd Surge Protector power strip will protect your devices against harmful voltage fluctuations, surges and energy spikes. 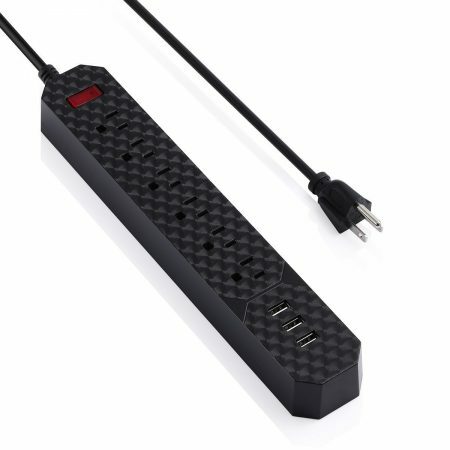 Besides, this power strip works as a great home charging station with perfect overloading and short-circuit protection.